Update: Only 4 days left to crowdfund Marty! They are over 70% towards reaching their goal! 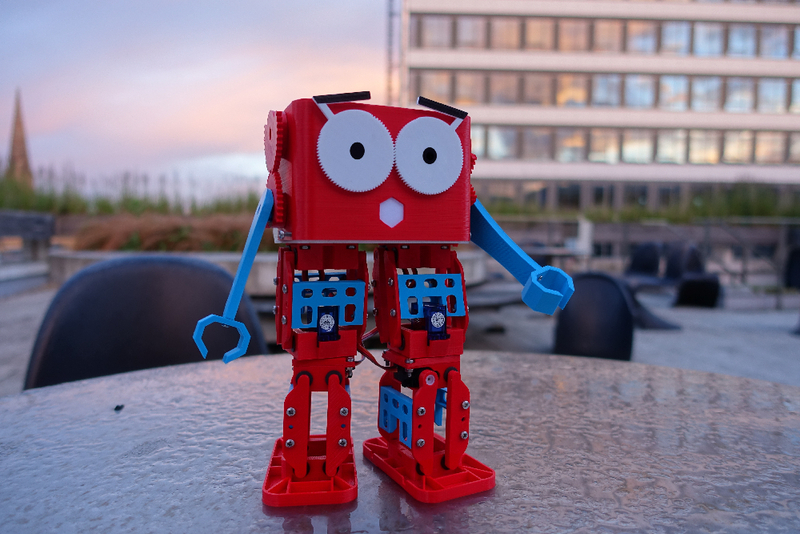 Marty is a WiFi enabled, programmable walking robot that can be customised with 3D printed parts. Designed to be easy to use for beginners, Marty can nonetheless be used for some pretty advanced stuff. You can program Marty in various languages from widely used graphical language Scratch to Python and C++, and he has lots of ports for expansion. Marty can even be upgraded with an optional onboard Raspberry Pi. With one of those, you could do vision processing on board or even run ROS – the Robot Operating System. Marty is on Indiegogo now priced at £95 ($125) for a full kit, with options to buy just the electronics (and 3D print your own plastic parts) for less. 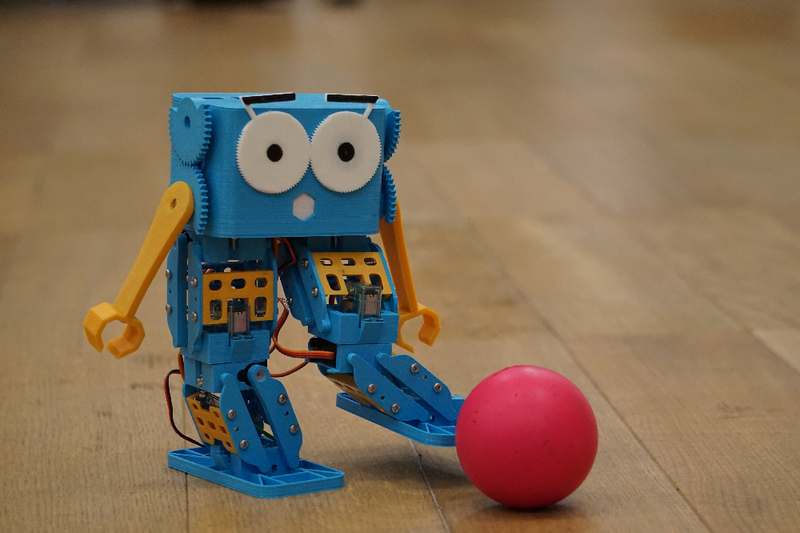 One of the key technological innovations in Marty is the unique leg mechanism, which uses fewer motors than a traditional bipedal robot, while still retaining the ability to perform interesting movements like walking, turning (on the spot or while walking), dancing, and kicking a ball. Each leg has three motors and a pair of four bar linkages, as well as a spring to help carry some of the weight. The design reduces cost and weight, while making Marty easier to program and his battery last longer. Programming happens over WiFi – you write code in Scratch, Python, or another language on your computer, and your code controls Marty in real time. If you want to go fully autonomous you can write code to run on Marty’s control board, or you can add a secondary computer onboard – like a Raspberry Pi or Arduino. 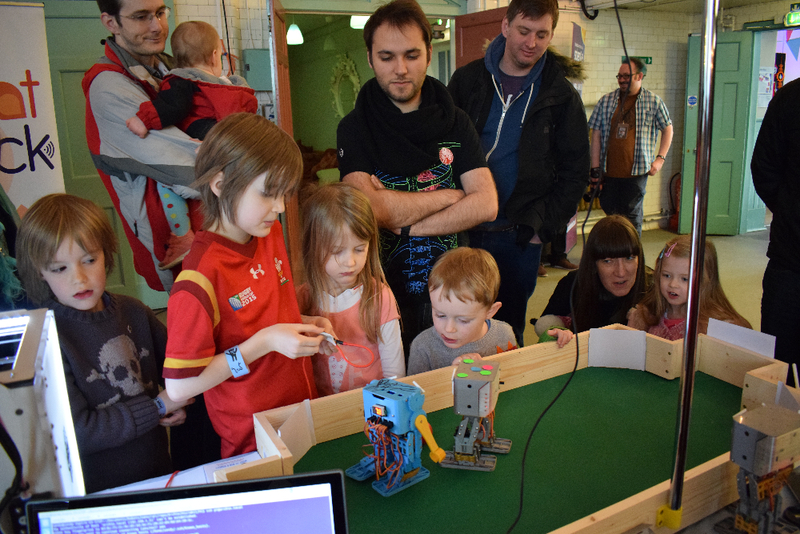 The electronics themselves are designed to be an ideal controller for a robot. Servo ports with electrical current sensing give some feedback about how the robot is getting on – protecting the motors from damage and giving information on interactions. WiFi for communications, accelerometer for tilt data, and lots of spare ports for different types of sensors and outputs. Onboard power regulation means you can plug in a battery directly, and they’ll even output a 5V supply to power an onboard Pi. 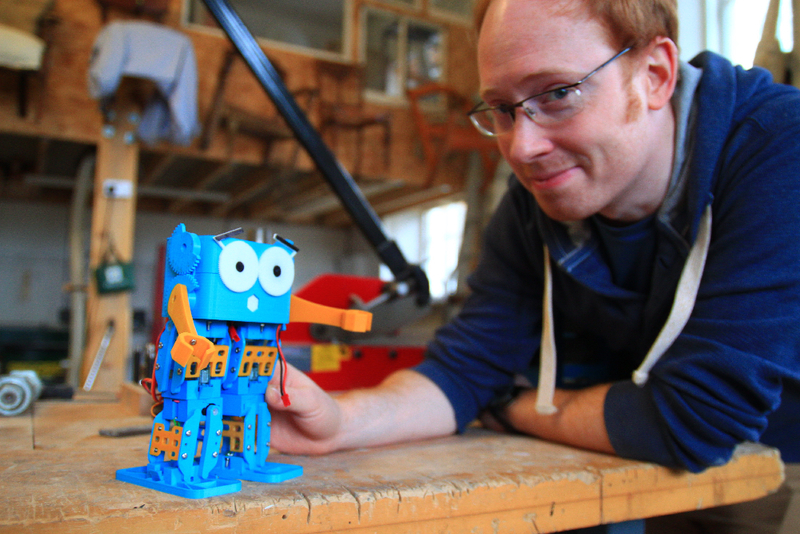 Alexander, designer of Marty, sees Marty as an engaging robot for kids, makers and educators. 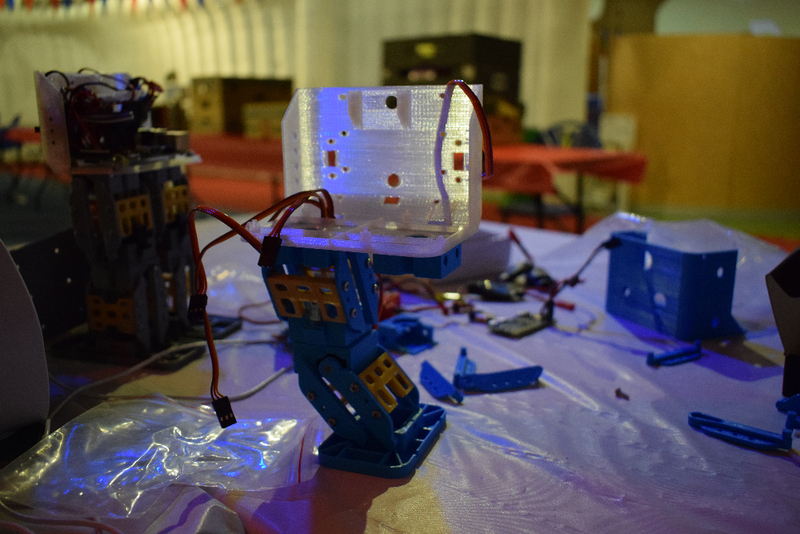 Robotical have been making their own mods as a start, from a Marty with gripping hands to “Disco Marty” , which is covered with LEDs. What would you do with a Marty? Find out more about Marty at www.robotical.io, or pre-order a Marty of your very own on Robotical’s Indiegogo.